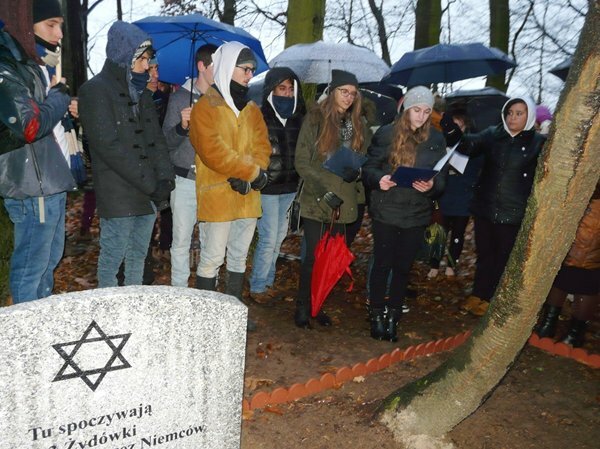 Fundacja Pamięć, Która Trwa - Trzydnik Duży – November 15, 2015. 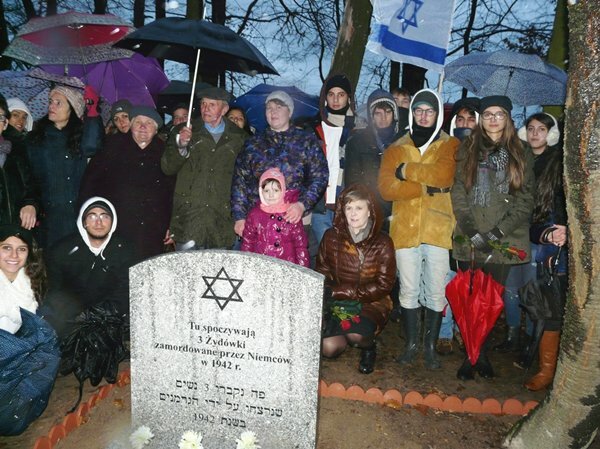 The ceremony took place in a forest where the 3 young women lie buried. According to witnesses, among the victims were two sisters from Kraśnik. They were captured in 1942 by the Germans while hiding in the area. 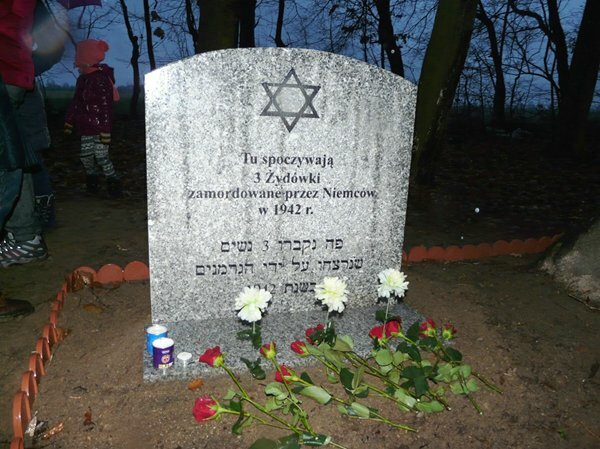 After being held captive overnight in a detention in Trzydnik, they were transported to a nearby forest and there executed by two German military police officers. 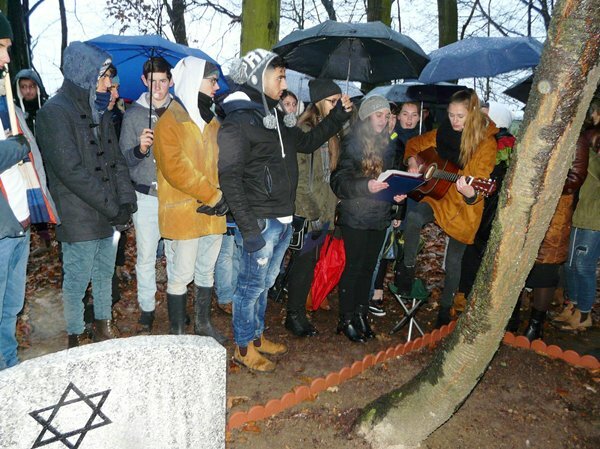 The students from Trzydnik and Israel performed poems and songs. The Righteous Among the Nations told a story of how he had saved the lives of four Jews whom he and his mother had been hiding on a farm near the forest in 1942-1944. 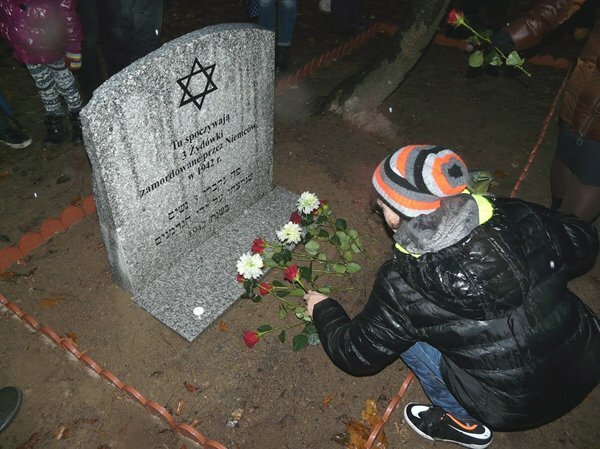 Afterwards, flowers were laid at the victims’ grave near the Memorial. 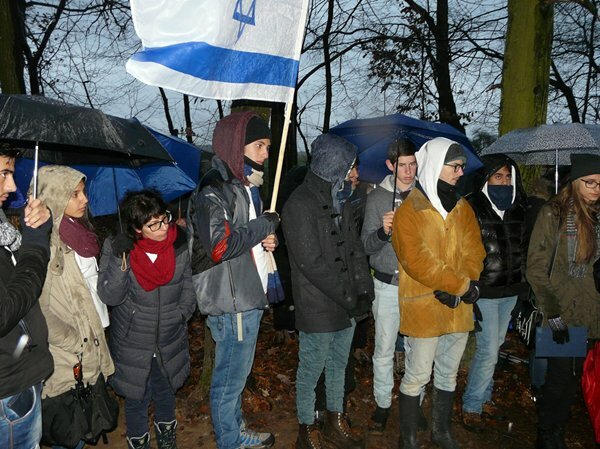 The Foundation’s works towards the commemoration were supported by the donors from Orange County, JFFS, California.